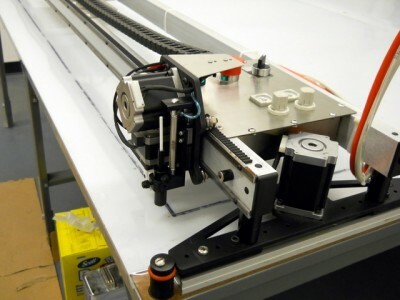 If you’ve read about our recent attendance at Glass Build America 2011 or the featured success story from Tristar glass then you won’t be surprised that glass laminators all over the country are turning to Carlson Design to automate cutting their interlayer. Right before Thanksgiving we had the pleasure to install systems at Ultraglas near Los Angeles, California and Tacoma Glass in Tacoma, Washington. 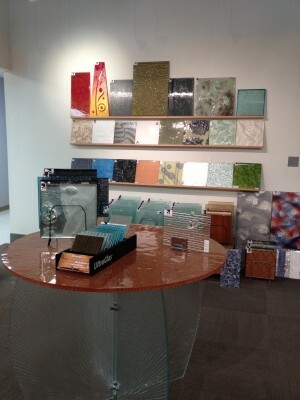 Show room Filled with possibilities! Ultraglas uses the Hoaf lamination line which is an Autoclave-free modular system that cooks laminate in batches. 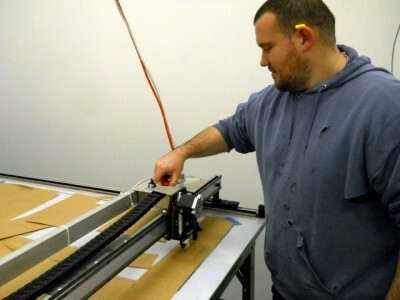 The Hoaf is ideal for custom lamination where each job might call for a different thickness or laminate type (and therefore need different heat or cook time). Our cutter will help them cut specialty shapes for custom projects or repetitive shapes for high volume. It will make cutting very accurate, clean, and so easy that it becomes an entry level job anyone in the shop can preform. While we we’re there we saw Daniel Jessup of Salem, a familiar face from the glass show, putting the final touches on their oven. Hi Daniel! He's putting the final touches on their modular Hoaf lami-oven. 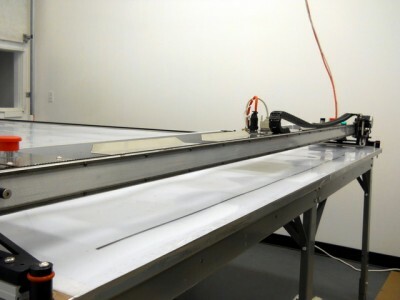 Ultraglas’s Carlson system is very similar to Tristar’s — a PT-96″ Plotter/Cutter riding on an 8’x12′ vacuum table, however they turned their table sideways to accommodate pulling laminate from 2 different climate boxes. 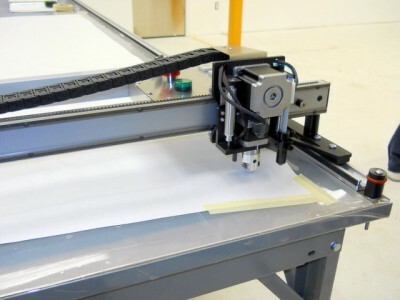 This allows them to quickly pull color or clear interlayer onto their cutting table. 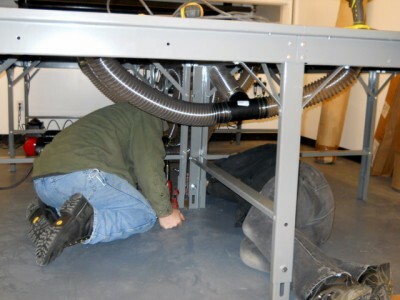 To maximize training time during install, they pre-assembled their table and vacuum plumbing before we arrived. They provided their own workstation and monitor. Any ergonomic stand or desk will work. Once installed it's time to start training! Paper is a great material to use when getting started. Lon takes the wheel. Our software makes creating and nesting simple shapes fast and easy. First nest cut on paper. Nesting parts saves 10-20% material, which means a very fast ROI when cutting interlayer. Big thanks to everyone at Ultraglas, especially Jane Skeeter for getting everything ready for productive 2 day install and training. 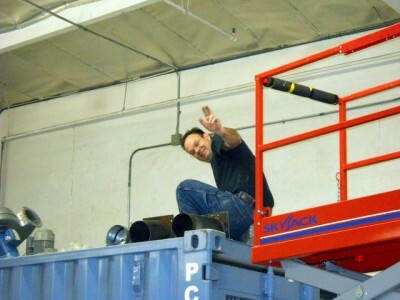 We look forward to seeing your beautiful laminated glass! 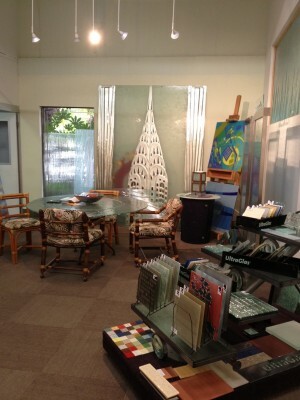 Tacoma Glass is known in the area for their quick turn around time. You call these guys when you need to get the job finished. They are a relatively new company, but the 3 owners alone have over 50 years worth of industry experience. 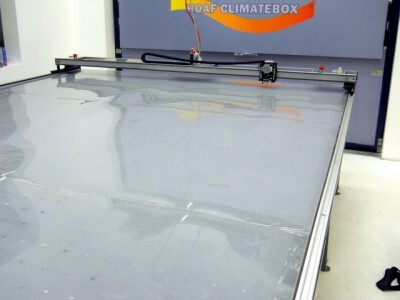 They are using the Hoaf Smart Box to laminate — this is a smaller system than the traditional Hoaf oven, however it gives them the ability to replace any piece of laminated glass in a single day. 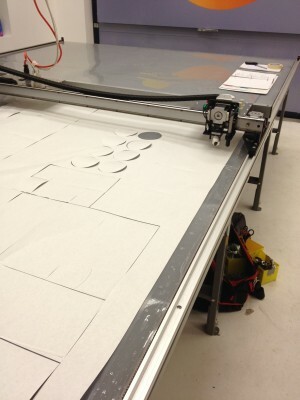 They plan to use cut files from their CNC glass cutter with their Carlson, so they can cut matching glass and laminate. This makes for high quality windows produced at record speed with limited specialty know-how required. 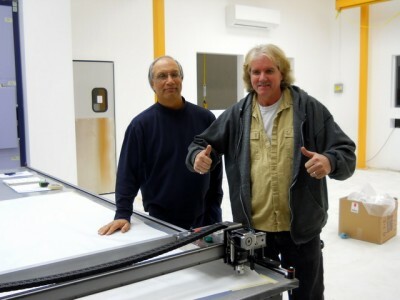 Tacoma Glass was great to have pre-assemble their table and have their staff ready for installation and training. 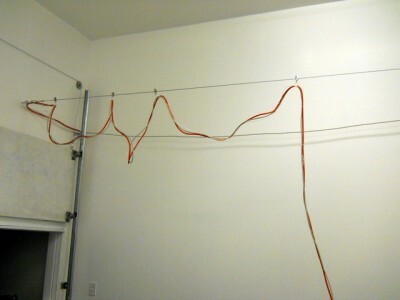 This allowed us to have everything running by lunchtime and we started training the first day. 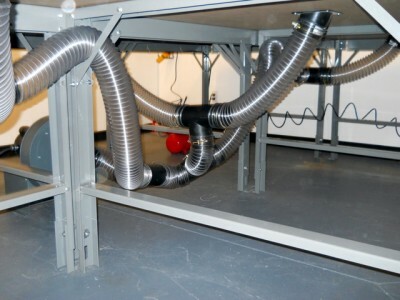 Plumbing attached to a 1.5HP single phase blower. 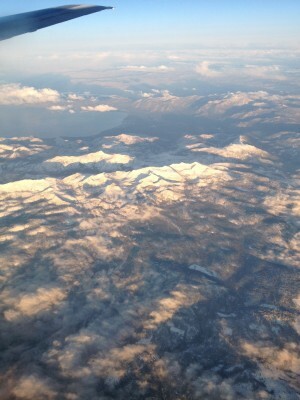 Our systems don't use much air. 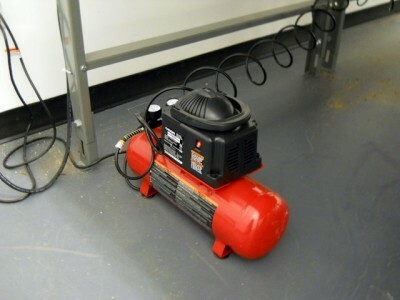 A 1HP, 2gallon air compressor work great if you don't have shop air. 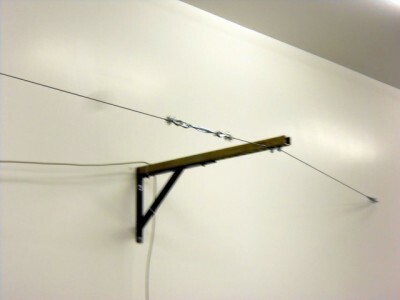 They used a shelving bracket to mount their overhead wire. Cutter installeld, ready for training! 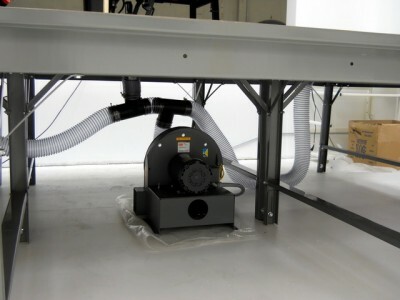 PT-96" plotter/cutter on an 8'x12' vacuum table. Great looking setup! 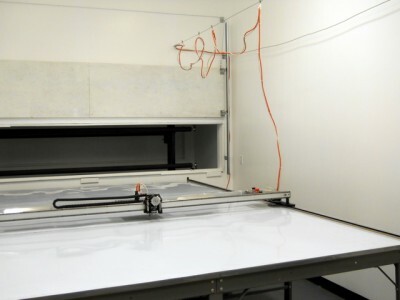 96" wide gantry can plot/cut up to 87" wide material. Great for cutting PVB, EVA, SGP, and many other laminates. Jim is the first to train - all smiles! 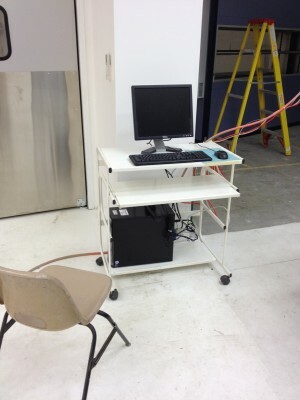 Computer and monitor sit on a folding table until they are ready for a permanent wall mounted workstation. Ricky practices adjusting cutting pressure for different materials. Easy to read pneumatic regulators are mounted on the operator's panel. 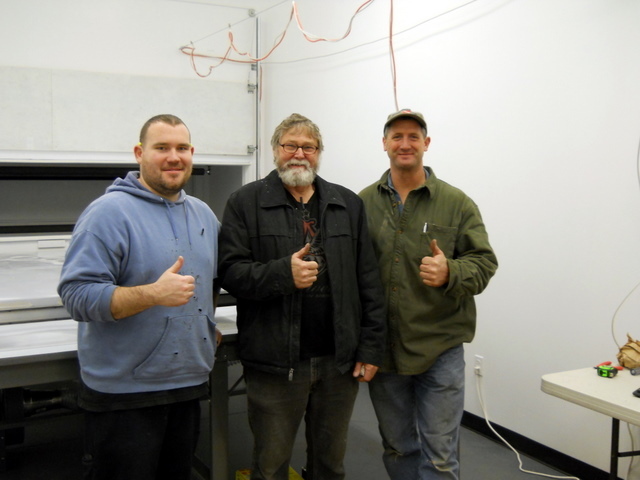 Ricky, Les, and Jim -- now pro's -- give a thumbs up after 2 great days of training! 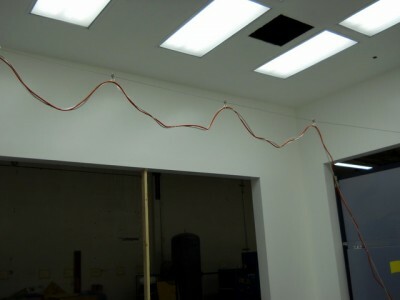 This was a great install. Downtown Tacoma is an exciting city for anyone in the glass world because of the Tacoma museum of glass and the Morano Hotel featuring a different glass artist on every floor. 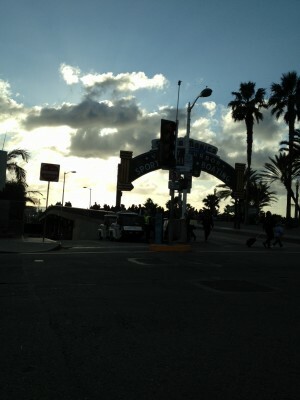 Special thanks to Jeff, Steve, and Mike for making us feel welcome and thanks Les, Jim, and Rickey for being fun and easy to train. 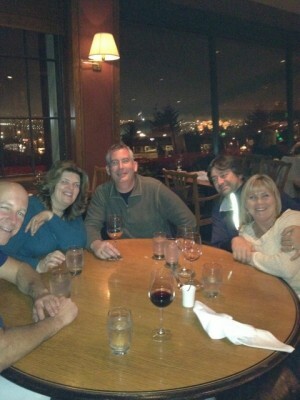 Mike, Steve and his wife, and Jeff and his Wife take us to dinner to celebrate a successful install!